Hand trauma in children is common, but often inadequately assessed and treated. The types of injury vary with age depending on the pattern of hand use. Assessment of the injury, particularly in the younger child, can be difficult, given the inability or reluctance of the child to co-operate, both in providing a history and allowing an examination of the injured hand. 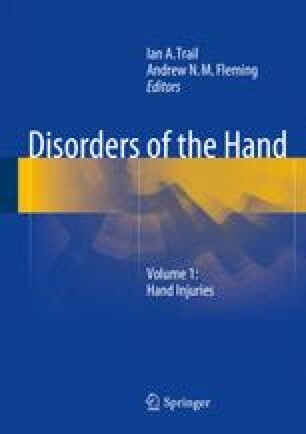 The established principles of treatment for hand trauma, detailed elsewhere in this text, apply equally to children, but the healing and growth potential of the child has specific implications for management. The management plan also has to take into account the varying capacity of the child for co-operation with active rehabilitation programmes.